So it happened on the night of N’s birthday. We were able to avail the hotel accommodation at Torre Venezia Suites. While I appreciate the few hours away from the boring routine schedule at home, N felt otherwise. She wasn’t as excited and would just spend the night at home and would just strum Epiphone guitars if she had a choice. 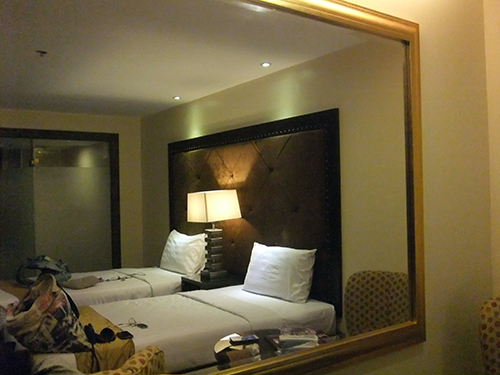 But all four we went to the three-star hotel located at the corner of Mother Ignacia and Timog Avenue. I had a few photos to share in my next post. This entry was posted in Family, hotel amenities, Occasion and tagged birthday celebration, hotel accommodation, overnight stay at Torre Venezia Suites on March 5, 2015 by Yami.